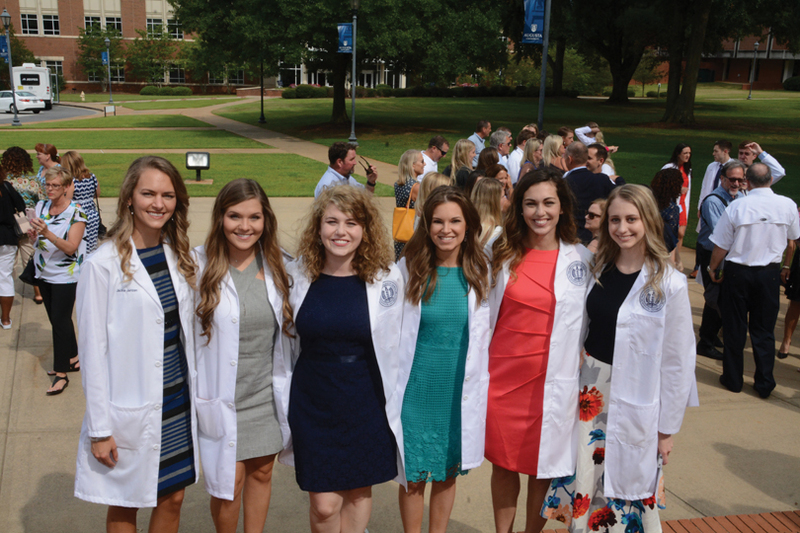 Second-year dental students were presented their white coats on Friday, Aug. 25. 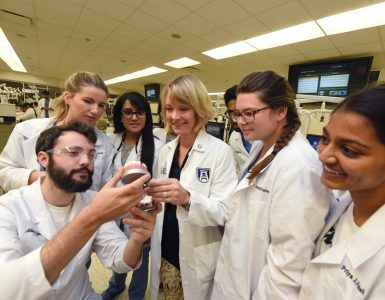 The students made the transition from their pre-clinical training to having the privilege of treating patients before a packed house at the Maxwell Theater with faculty, families and friends cheering them on. 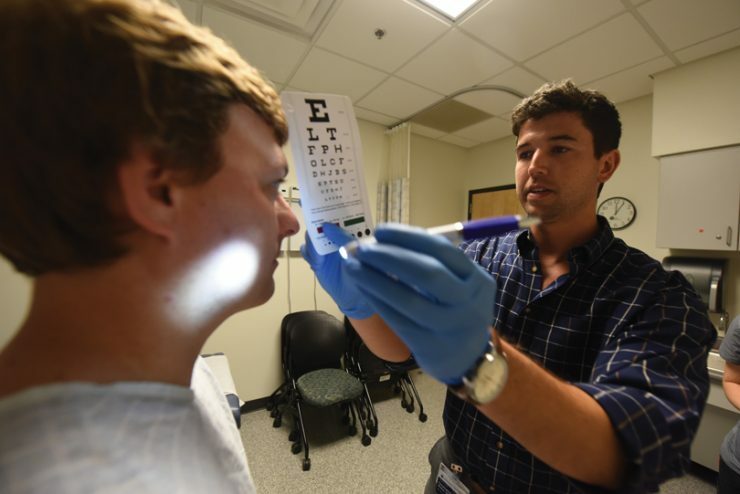 New residents were oriented to postgraduate training the first week in July, covering everything from HIPAA and asepsis training to electronic health record systems and physical diagnosis practice skills. DCG freshmen were proud to give their families a glimpse into their daily lives as first-year dental students. 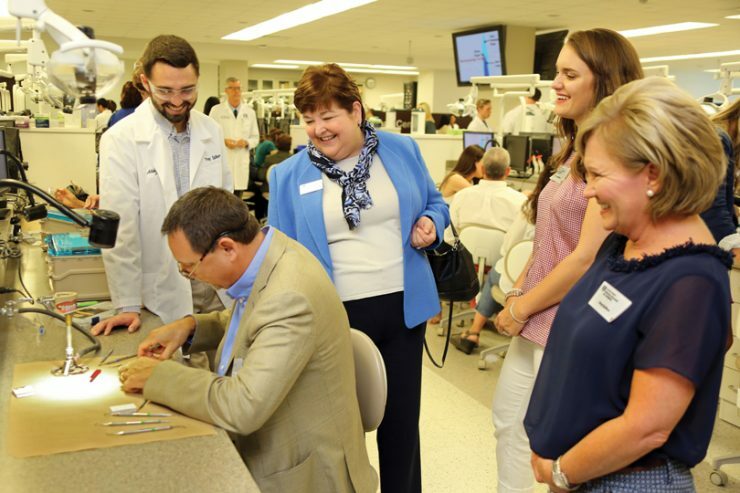 The agenda included tours, presentations and hands-on experiences in the Thomas P. Hinman Center for Lifelong Learning. Dr. Don Spillers, Jr. (’91) is waxing as son, freshman Trey Spillers, watches. 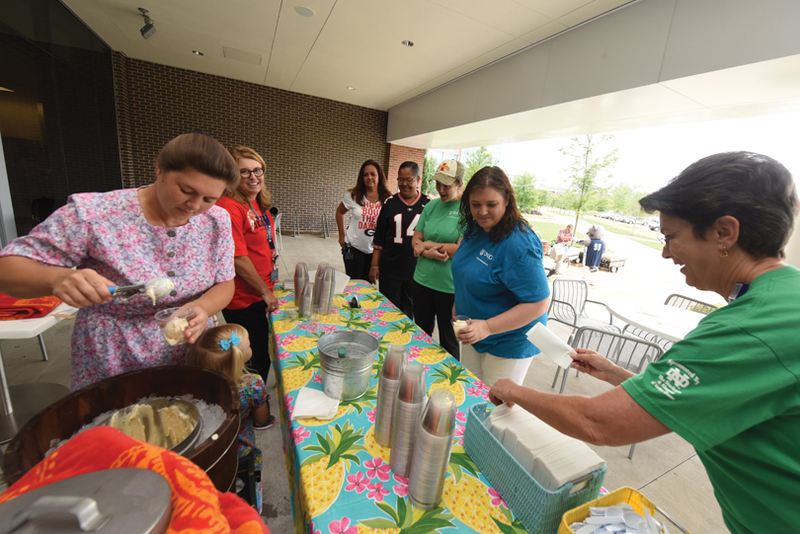 Homemade ice cream was a hit with staff, residents and faculty alike at the annual Ice Cream Social. 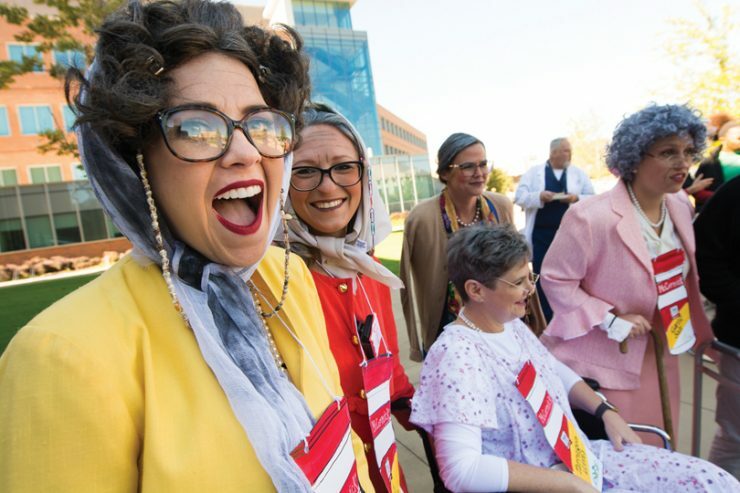 Participants enjoyed reminiscing about their childhoods over churning ice cream and razzing one another about their favorite college football teams! The DCG Alumni Association hosted a luncheon to welcome students back to campus for the fall semester on Wednesday, Aug. 16. Following the luncheon, the DCG held the annual Welcome Back Assembly to announce scholarship recipients for the 2017-2018 academic year. 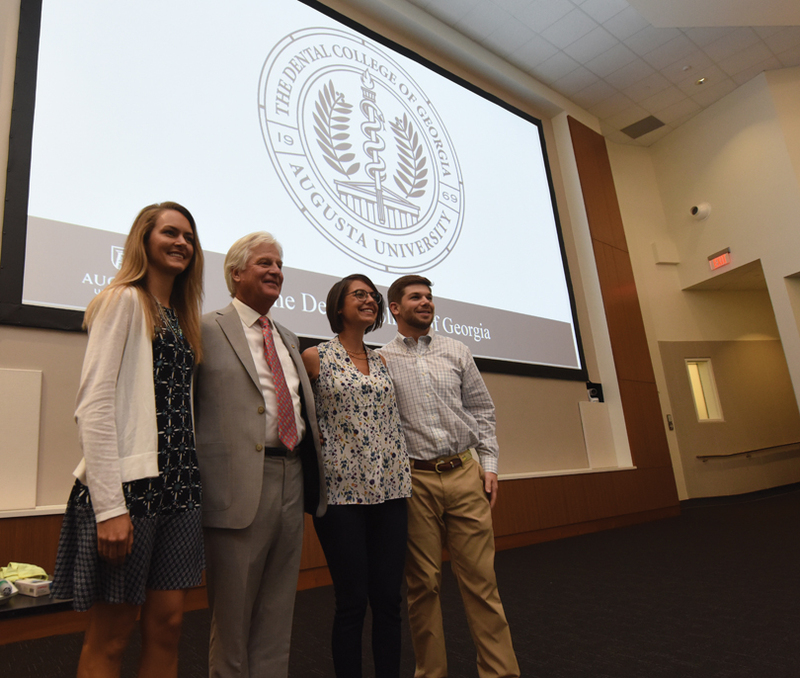 Ninety-eight students were awarded a total of 116 scholarships from sponsor organizations and individual alumni. 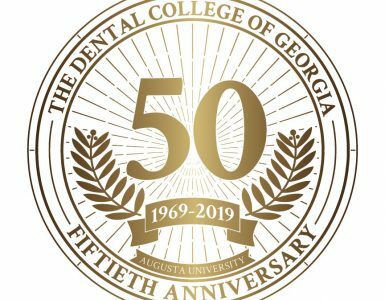 Congratulations to all who received awards! 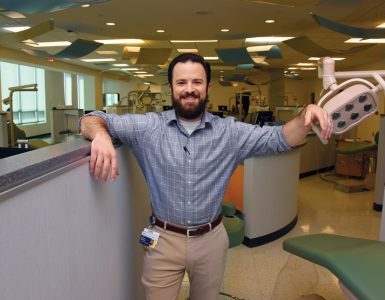 Students, staff and faculty enjoyed Wellness Week, sponsored by the American Student Dental Association, Sept. 18-22. 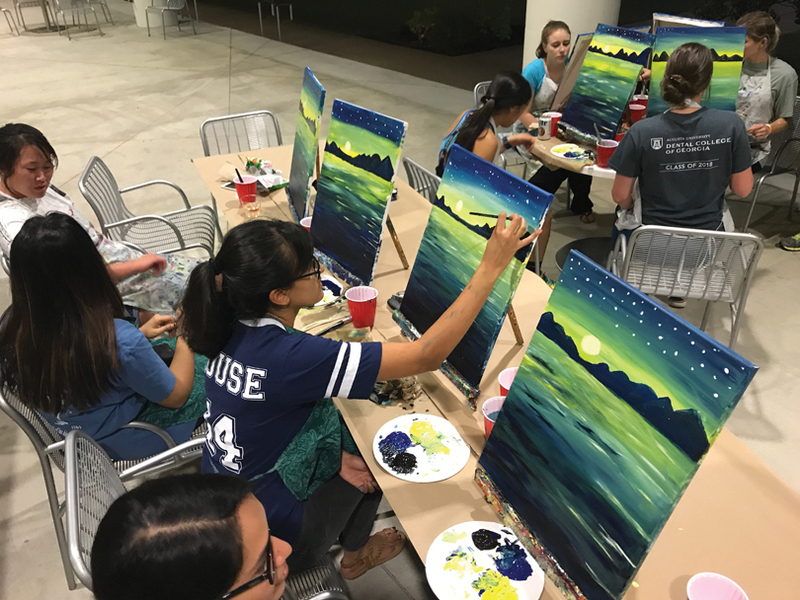 Activities included a painting class, lunch-and-learn sessions on meditation and nutrition, yoga and even recess on the Harrison Commons lawn. Staff, residents and faculty enjoyed a festive fall event on Wednesday, Oct. 18, including grilled hamburgers, a costume contest and a chili cook-off. Judging the chili this year were Lee Ann Liska, executive vice president for health affairs, Clint Bryant, director of athletics and Dean Carol Lefebvre.